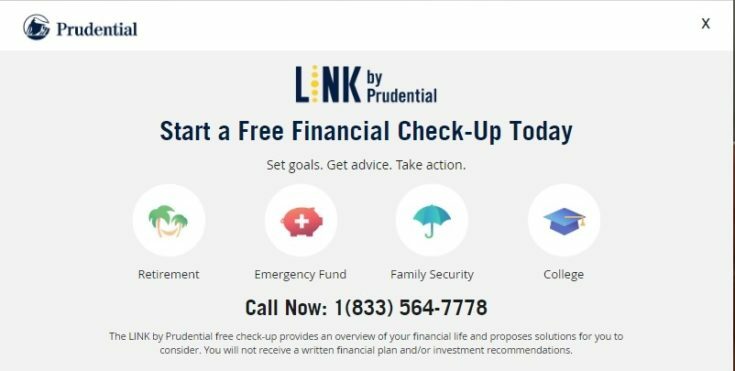 The post LINK by Prudential: Financial Tools to Help Reach Your Goals appeared first on Club Thrifty. FTC Disclosure: The following review is a paid sponsorship from Prudential. All opinions are our own. Have you been looking for a newer financial tool? Perhaps a tool that helps you plan for your family’s future? Prudential may have a solution for you with its newest product, LINK. LINK by Prudential is a solution that helps you gauge where you are currently at, set financial goals, and get advice on how to reach them. The program takes a big picture approach to your family’s future, focusing on things like saving for college, retirement planning, and having money saved for emergencies. Through the use of various financial calculators and Prudential’s financial advisors, LINK helps guide you toward reaching your goals for saving and investing. As you probably know, Prudential has been around for over 140 years and is one of the largest insurance and investment companies in the U.S. With that said, LINK represents a new concept for Prudential. Since its inception, Prudential has traditionally sold investment and insurance products – including employer-sponsored insurance and retirement plans – through its team of financial advisers. With LINK, however, Prudential expands into the direct-to-consumer space, which many of its competitors have already done. Sound interesting? Let’s take a closer look at how LINK might be helpful for you. You will also be asked about how much risk you are comfortable taking when investing. This will be factored into investment solutions suggested to you later in the process. As you move through the process, LINK will also request information about the current state of your retirement goals. You will be asked about the age you want to retire, the type of lifestyle you desire during retirement, and where you want to live after you retire. After creating your initial profile, LINK moves on to goal setting. Much of this is already inferred as LINK makes suggestions based on your answers to the previous questions. For me, my goals consisted of college savings, emergency funds, and retirement planning. Other savings goal categories include auto, home, family protection, wedding, baby, and general investment. In LINK, as you choose a goal, you will be asked questions about any money you already have saved towards those goals. LINK takes that information, as well as information from your online profile, to build a helpful goal tracker. Once your profile is complete and your goals are set, LINK provides you with customized solutions that are designed to help you hit your goals. The suggested solutions might point to Prudential Managed Accounts. These are investment portfolio accounts managed through Prudential. Besides the initial process mentioned above, there are a few other features that help LINK’s service stand out. Although LINK is an online tool, Prudential grew its business through its network financial advisors. Of course, they still offer that feature through LINK. Prudential’s financial advisors can be reached by phone, online, through video, or in person. After you create a LINK account, you can access it 24 hours a day on any device. This allows you to monitor your account, make adjustments, and keep track of your progress toward meeting your goals. As I went through the process of setting up a LINK online profile, I created fictitious salary and savings numbers to see how LINK would respond. When I purposely set our monthly household spending too high compared to our income, a message popped up on my screen asking me to review my numbers to make sure they were accurate. I was also given the option to use a tool called “Slice A Budget”. Slice A Budget walks you through your monthly spending and guides you as to how to budget so you can cut expenses. LINK by Prudential is free to use, at least to a certain extent. Essentially, LINK provides personalized suggestions which often lead to a number of different products that may cost money – including investments, advice, insurance, and income offerings from LINK by Prudential. Of course, that doesn’t mean that the tools aren’t helpful. To be clear, it doesn’t cost anything to create an online profile, set goals, or even receive investment solutions. With that said, after going through the process, you do need to set up an online account in order to save your information. Again, a LINK account is free to set up. However, if you choose to follow LINK’s advice and make investments with Prudential, you will be charged just as you would with any other investment company. 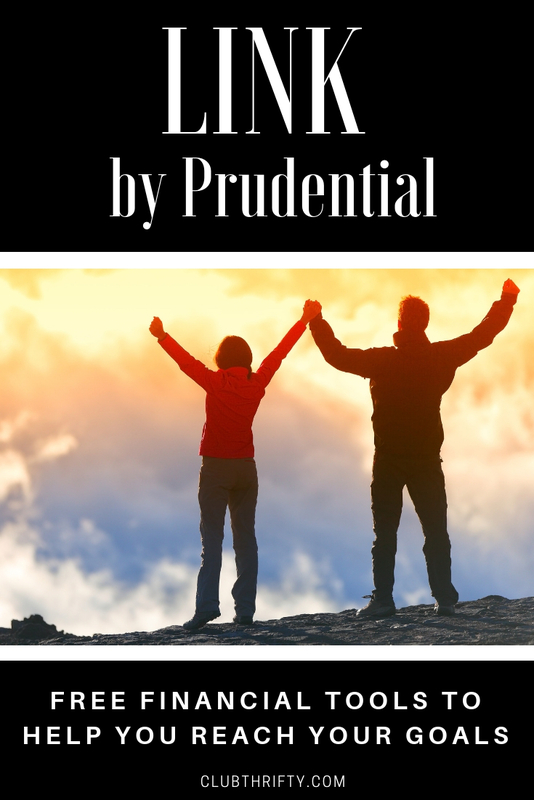 It’s great to see Prudential offer a product directly to consumers. 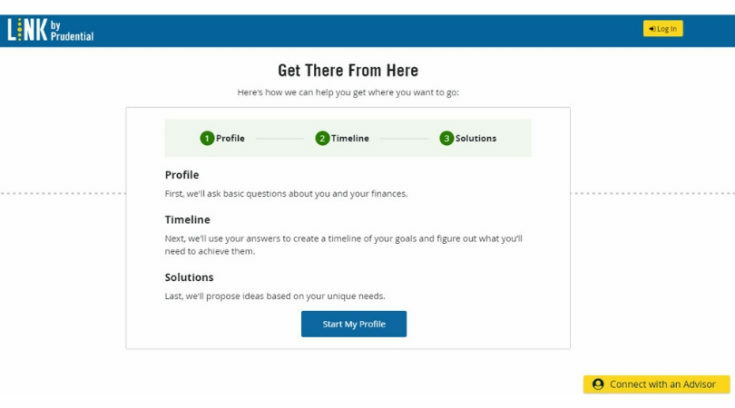 Since many people (particularly millennials) favor convenience and accessibility over a personal relationship with a financial advisor, I’m also excited to see Prudential offer online tools and investment planning as an alternative to face-to-face meetings. Overall, I love how simple LINK is to set up and use. LINK’s format is easy on the eyes and makes complex investment strategies easy to understand. If you are looking for a comprehensive investment company with user friendly tools that are accessible anywhere and anytime, it’s worth your time to check out LINK by Prudential.